A heart attack is rarely a consequence of intense exercise. The new study, which involved men and women aged 35 to 65 years, reveals that the risk of a heart attack during physical activity, such as jogging or cycling, minimal, ie, almost not even there. When the researchers compared the probability of survival, they found that people who experience a heart attack during exercise have a higher probability of survival, compared to those who suffer a heart attack during other activities, ie, stationary. However, if you suffer from heart disease, scientists are advised to be sure to consult with your doctor before you begin any form of physical activity. The scientists, whose research appears in the journal Circulation, reveal that only 5% of people in the period of investigation, suffered a heart attack during exercise. The average age of people who have suffered a heart attack, he was 51 years old. Heart attack was not caused by exercise. Most of them already had symptoms of heart disease, such as chest pain and shortness of breath. Participation in physical activity has helped in reducing the risk of heart attack. Scientists point out that, although too intense physical activity can increase the risk, it usually occurs in people who already have an increased risk of heart attack. Regular physical activity is recommended as part of the prevention of heart disease and stroke. 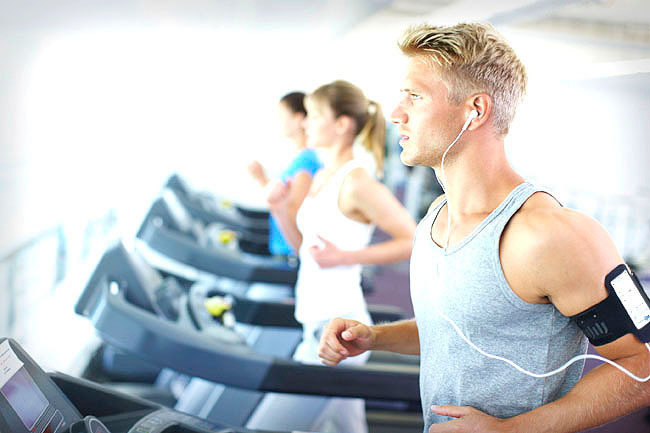 If you are not in good physical shape, start exercising moderately, and gradually increase the intensity later.